Are you tired of letting your pet in and out at the most inopportune moments? All of that is about to change, and you can solve this problem without having to cut an unsightly hole in your existing door or wall. The Sliding Glass Dog Door from Advanced Window Products can give you and your dog some much-needed freedom! 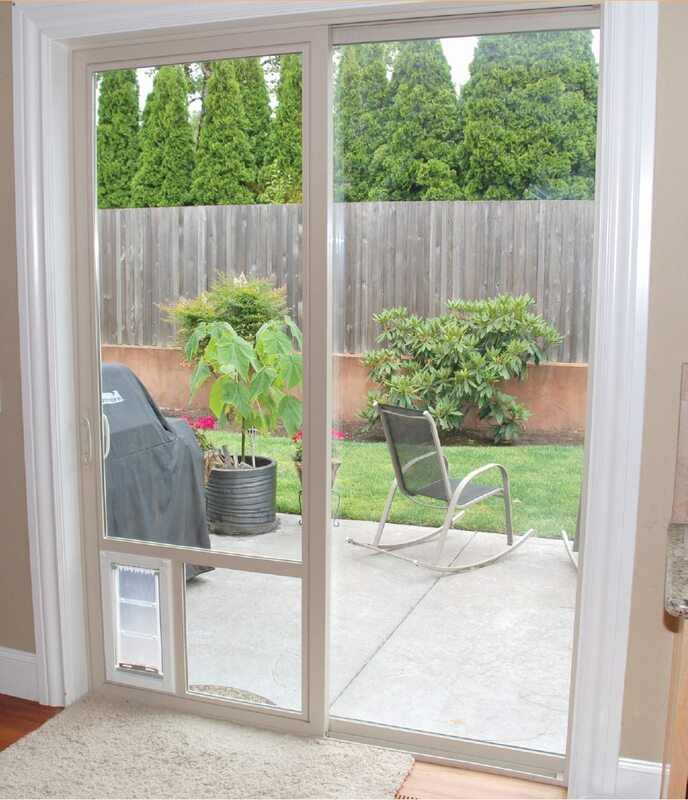 Our Patio Pet Door is custom built into your existing sliding glass door frame. We can also replace the frame if you prefer, but only the glass is required. These sliding glass pet doors, available in white or tan, feature Made-in-the-USA fusion-welded vinyl, dual pane tempered safety glass, and an Endura™ flap pet door. These make it the highest quality, best looking, and most energy efficient pet door on the market. Wonder if this pet door is right for your pet? Contact Advanced Window Products, and we'll answer any questions you have and give you a free, no-commitment pet door estimate. How Does a Dog Door in a Sliding Glass Door Work? This innovative system doesn't need to alter your existing sliding door frame. Instead, it replaces the glass panel with a pane of glass that has the doggy door built-in. The Patio Pet Door uses a unique mounting system, requires no special fasteners, and is custom built to the size of the existing glass unit. 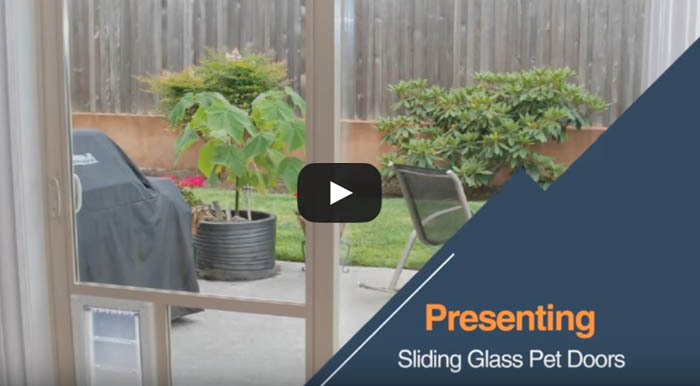 Your patio door will slide, function, and lock just like before. The pet door panel won't interfere with secondary locks or existing alarm systems, and the pet opening itself is both easy to use and features a solid security panel. Inexpensive pet door inserts have flooded the market. These contraptions, usually single-paned glass in an aluminum frame, wreak havoc on homeowner's utility bills because they are designed to be cheap, not energy efficient. 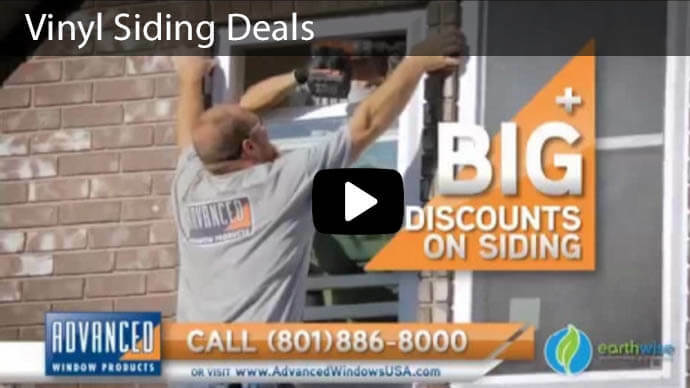 On the other hand, the sliding glass pet door from Advanced Window Products saves big in the long term thanks to the insulated safety glass, dual seal silicone, and highly energy efficient vinyl frames. Last but not least, it features a major upgrade on the most important part of any pet door: the pet flap. The Endura Pet Flap™, made from a specially designed polyolefin-based polymer, stands above all other pet flaps on the market. Rigid pet doors may pinch or otherwise injure your pet, but our pet flap is soft and flexible. This flap seals quickly and securely after your pet comes in, keeping poor weather and unwanted wild animals outside where they belong. Magnetic strips line the sides and bottom of the pet flap, creating a tight seal. Most commercial pet flaps hang loosely or, at best, use one or two magnets on the edges. Soft vinyl flaps need frequent replacement because they will wrinkle and crack in the sun and stiffen or break in cold conditions. Whereas, our pet flap lives up to its name as a durable, UV retardant flap that stays flexible at up to -40 degrees Fahrenheit. Why is Ours the Best Dog Door for a Sliding Glass Door? Unlike panel insert pet doors that you just close your door on, our "through glass" pet door units allow you to maintain functionality of your door. 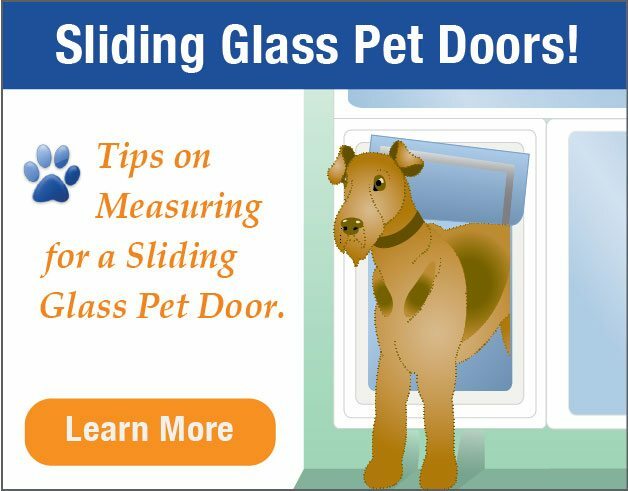 This is especially important if your sliding glass door frame is on the smaller side; the “through glass” doggie door won't force you to squeeze past it sideways. Our custom built doors use your existing lock so your home will remain secure. Read more pet door benefits here. How Much Does the Sliding Glass Dog Door Cost? This custom product costs less than many of our competitors' systems, and you get a lot more value for your investment. You choose the look of the door, style and tint of glass used, and the pet door opening option. We'll fit the system to the sliding door you have in place. Contact us and our staff will discuss which size door and options will meet your and your pet's needs. 1. What Pets Can Use These Pet Doors? Our doors come in a variety of sizes and opening options. Whether you have a German Shepherd, a Terrier, or any size dog in between, our doors have a build that can work for them. Do you have a feline friend? Cats can use our doors as well. In fact, our small flaps are light enough to open easily and are more flexible and safer than the rigid cat flaps on the market. 2. What Color Options Are Available? The sliding glass pet doors from Advanced Window Products come in white or tan. 3. How Big Should the Opening Be for the Pet Door? Having the correct size pet door is important to get the most use out of your pet door. 4. Why Not Just Cut Into the Existing Glass Door or Window? Glass doors and windows are actually made from any one of a number of kinds of glass. Each one of these will need a different procedure to cut into or replace. Attempting to cut a hole in tempered or dual pane glass will shatter it. Other kinds of glass will crack badly, creating an unsightly and potentially dangerous hazard. 5. Are These Doors Easy to Install? Our professional installers have the training and experience to get your new pet door set up in as little as 30 minutes. 6. How Do I Keep Other Pets from Getting in My Home? Worried about the neighbors' dogs or annoying wildlife getting in? This common concern is rarely an issue. Insects and very small animals are not strong enough to push through the door, and most larger ones won't attempt to press against something that is tightly sealed to the frame and floor. There are no gaps around the edges of the Patio Pet Door thanks to our product's high weather stripping, strong magnets along all free edges, and stainless steel strikes. However, it's always a good precaution to keep food and water away from the pet door so hungry animals aren't tempted to follow their noses inside. 7. Will I Have to Train My Pet to Use the Door? Lift the flap yourself and show them the way in. Sit on the opposite side of the door from your pet and call them, squeak their favorite chew toy, or offer a strong-smelling treat to lure then through. If that doesn't work, try propping the door open. When your dog or cat gets into the habit of accessing the yard through the Patio Pet Door, you can lower the flap again. 8. Are Pet Doors Energy Efficient? New advancements in technology have made pet doors significantly more energy efficient. Learn more about these advancements here. For more information on how Advanced Windows Products can install a pet door into a sliding glass door, call us at (801) 505-9622.